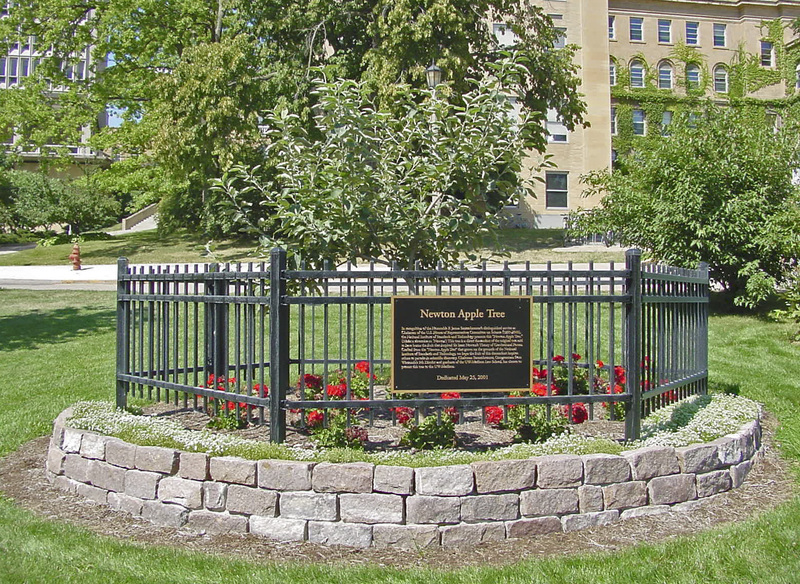 Within an apple’s throw of Chamberlin Hall, home of the University of Wisconsin-Madison Physics Department, there grows a tree that is a graft of the original tree that is said to have inspired Sir Isaac Newton’s discovery of the law of universal gravitation in 1665/6. The tree was donated by U.S. Rep. F. James Sensenbrenner who received it in recognition by the National Institute of Standards and Technology for his service as chair of the House of Representatives Committee on Science from 1995 to 2000. 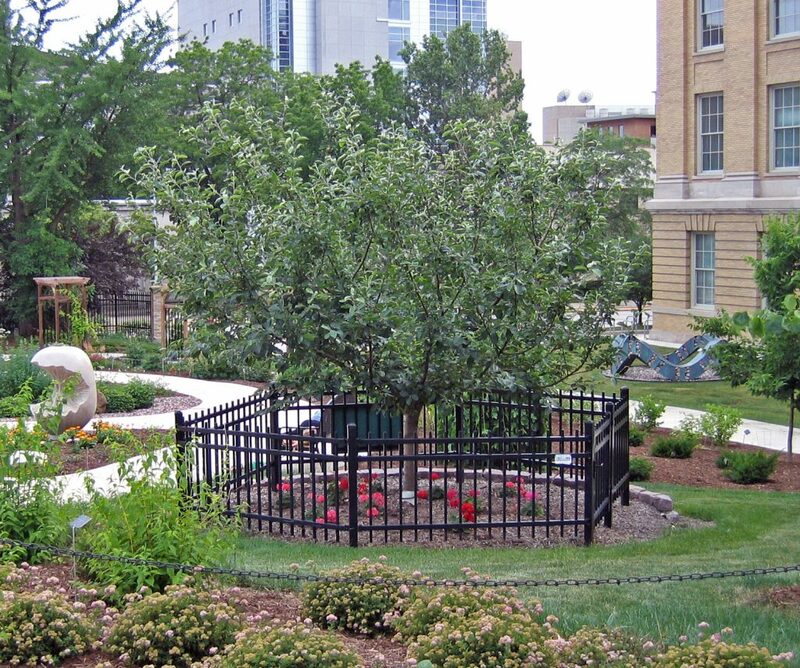 The planting of the tree in the UW-Madison Botanical Garden took place on May 25, 2001. R. G. Keesing wrote an interesting article on the history of Newton’s apple tree and the legend associated with it.